InterMoor Pte, based in Singapore, completed the change out of the Atwood Eagle mooring system. The mobilisation took place in Singapore and the job was executed in Dampier, Australia on behalf of Atwood Oceanics. InterMoor Pte procured 8 new chains for the rig and transported them from the chain manufacturer in China to Singapore to prepare for mobilization and installation onto the drilling unit. The 8 new wires were free issued by Atwood and these were also prepared by InterMoor and mobilized form Singapore. 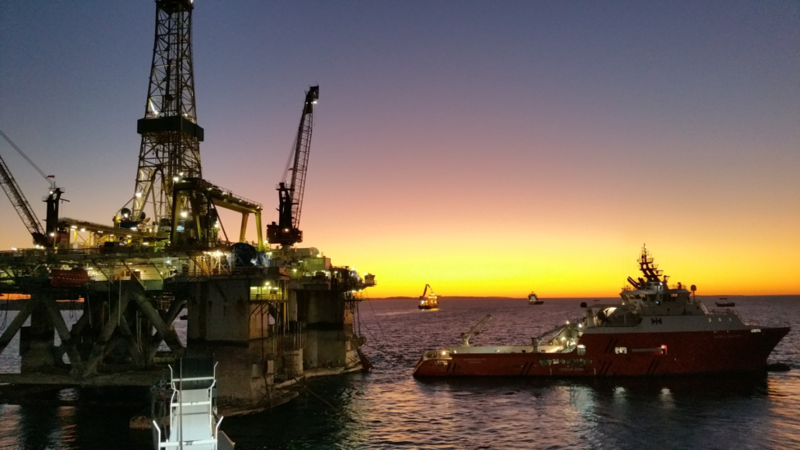 InterMoor Pte hired two vessels, the Pacific Dispatch and the Pacific Discovery to mobilise, transport and then install all of the mooring equipment onto the Atwood Eagle at anchorage in Australia. The work was carried out on time, within budget and with zero LTIs.